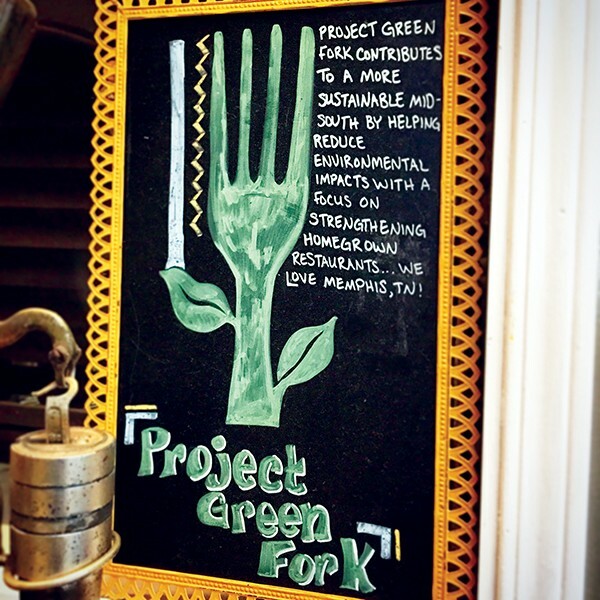 Project Green Fork Director Margot McNeeley is stepping down. Back in 2007, Margot McNeeley noticed most local restaurants were still using Styrofoam takeout containers. Upon further inspection, she also realized most weren't recycling. So she set out to do something about it. 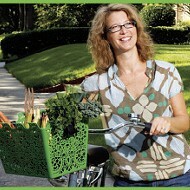 McNeeley founded Project Green Fork (PGF), a restaurant sustainability certification program that helps restaurateurs commit to recycling, using Earth-friendly takeout boxes, and green cleaners. 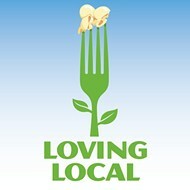 It's grown to include 75 PGF-certified restaurants, catering companies, and coffee shops across the city. Since 2008, those restaurants have recycled more than four million pounds of plastic, glass, aluminum, cardboard, and paper and more than 200,000 gallons of food waste. But as of the first of the year, McNeeley is stepping down as PGF's executive director, and the organization, which was previously a stand-alone organization, is being merged into the programs at Clean Memphis, a grassroots nonprofit that organizes volunteer cleanups and does sustainability outreach education in schools and in the community. "I'm ready to take on something new. And I think I've taken Project Green Fork as far as I can take it as a one-woman show," said McNeeley, who has operated the organization by herself since its 2008 founding. "Clean Memphis has a much larger budget and more resources than we ever did, and they have a bigger staff and the capability to take it further." PGF certifies restaurants that promise to adhere to six steps: 1) convert disposables to compostable, biodegradable products; 2) recycle all recyclable items; 3) develop a composting process; 4) use nontoxic cleaning products; 5) make efforts to conserve energy and water; and 6) maintain grease traps and kitchen hoods to prevent overflows and emissions to sewer and storm systems. Under Clean Memphis, McNeeley says PGF will maintain the six steps to certification. "I don't want people who have supported this for so long to think it's going away," McNeeley said. "It's continuing and will be taken to the next level, whatever that next level may be." Janet Boscarino cofounded Clean Memphis in 2008, along with her neighbor Darrin Hills and his boss Mark Lovell, to organize volunteers to pick up litter. The organization also does outreach education work in schools, and they developed a Sustainable Schools program to certify schools in much the same way that PGF certifies restaurants. In the program's 20 certified schools, students volunteer for cleanups, plant vegetable gardens, learn about watershed health and water quality, and participate in other sustainable initiatives. "When we were developing that program, Margot was one of the people I reached out to because of her work with sustainability in restaurants," Boscarino said. "We grew our understanding of each other's missions and vision of what we would see Memphis becoming with restaurants and schools moving toward more sustainability." Boscarino said, when McNeeley approached her a few months ago about merging the organizations, she knew it would be a good fit. The boards of directors for both organizations discussed the matter, and a decision was reached to pull the PGF program into Clean Memphis' fold. "At this point, we don't see any changes to the program," Boscarino said. "It's been very successful, so especially for the first year, we would bring that program under our umbrella and get to know it and understand the ins and outs, as opposed to making any changes." Clean Memphis is currently searching for a program coordinator to run PGF. That person will run the day-to-day operations, like McNeeley did, but Clean Memphis will handle the administrative tasks associated with PGF, something McNeeley had to manage on her own before the merger. "The new program coordinator can just focus on building the program and promoting the restaurants and sustainability," Boscarino said. As for what McNeeley will do next, she won't say yet: "I have three things I'm working on, but I'm not ready to announce any."